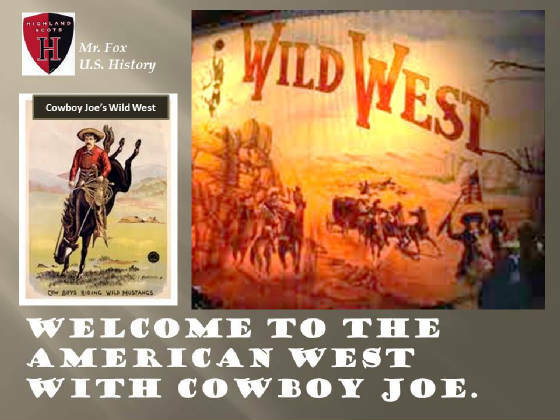 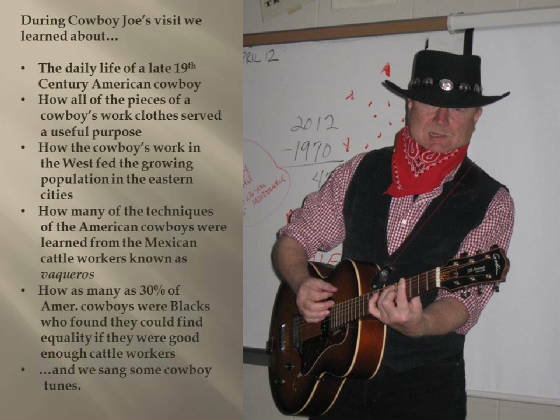 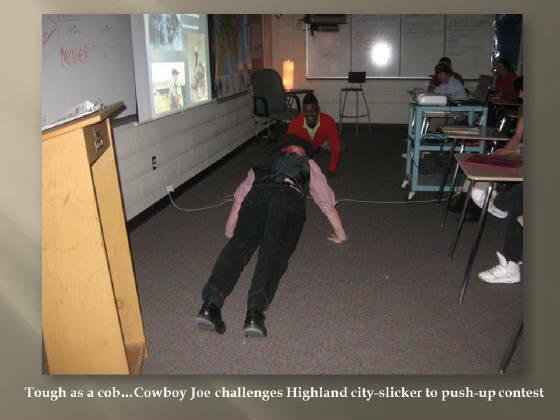 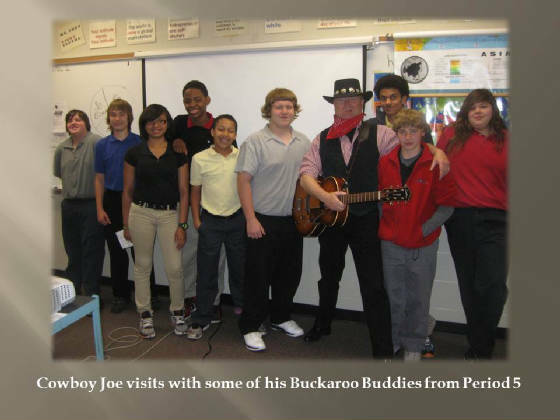 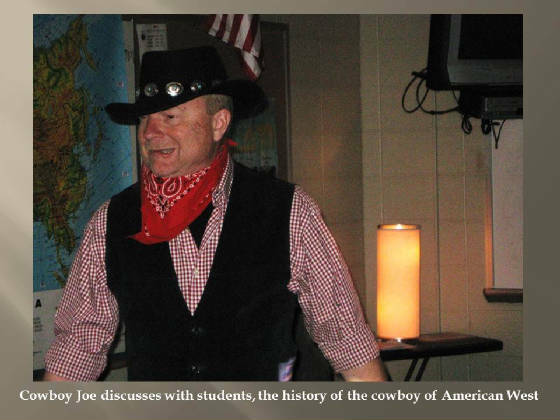 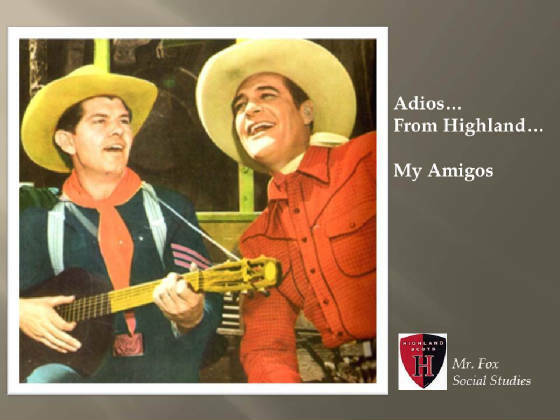 Students in Mr. Fox's U.S. History classes learned the history of the American West directly from "Cowboy Joe". 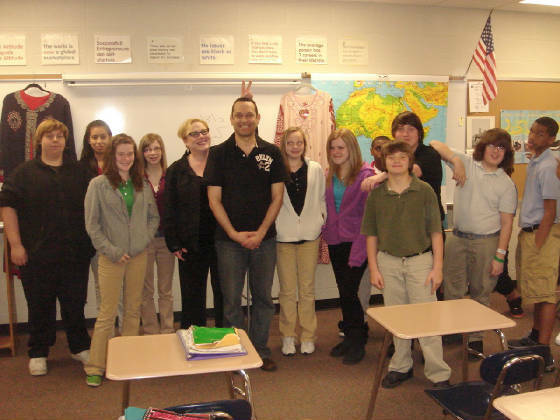 Mr. Massoud visits Highland to educate students on his Eygptian culture and the Middle East. 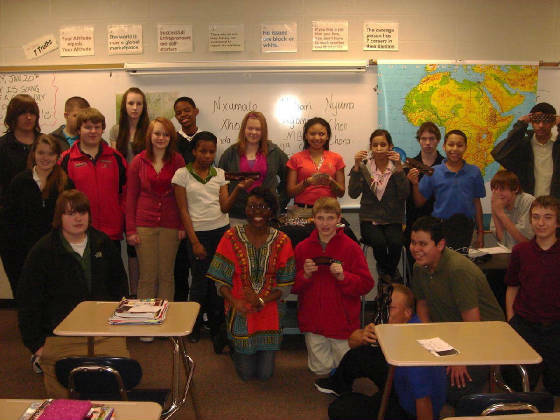 Note- He was gracious to write each student's name on the board in Arabic. 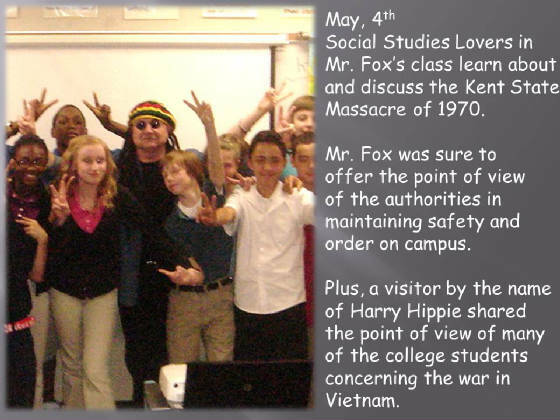 Period 7 "Social Studies Lovers" thank Mr. Massoud for spending the entire day with our Highlanders. 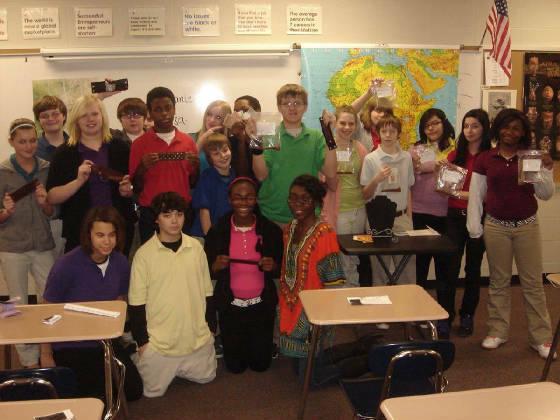 Mr. Massoud discusses Egyptian families, foods, sports, religion, fashion, family structure, dating and marraige traditions, and much more with Period 1. 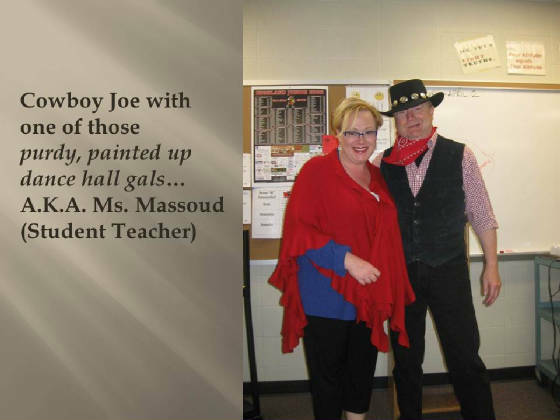 (Note- Mr. Fox's Student Teacher, Ms. Massoud, is showing that great personality of hers...as she often does. 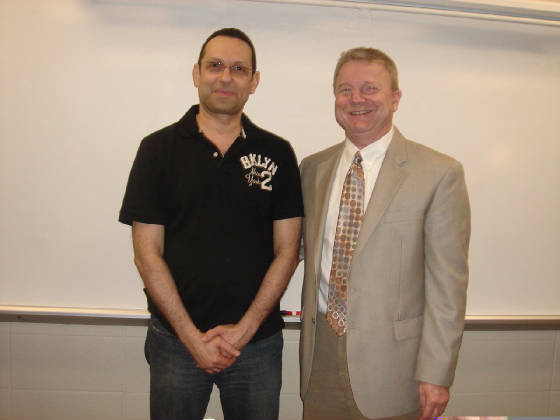 Mr. Fox thanks Mr. Massoud for all of the knowledge and insight Massoud gave him. 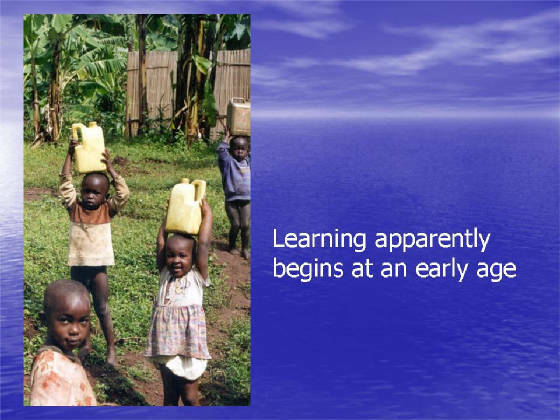 Remember, Confucius said, "Real knowledge is to know the extent of one's ignorance." 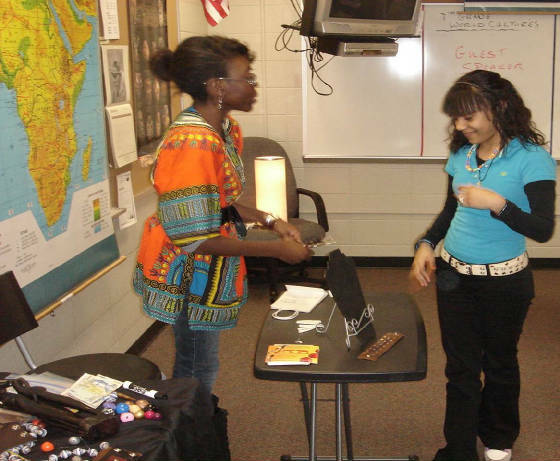 Ms. Wasonga is a graduate of Highland, a graduate of Anderson University, an agent of positive social change, and an entrepreneur. 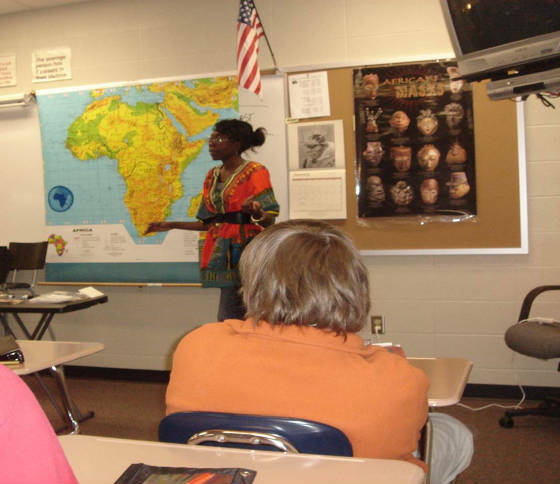 Recently she shared with students her life stories of growing up Kenya and Botswana...and then making the cultural leap of being a young U.S. student. 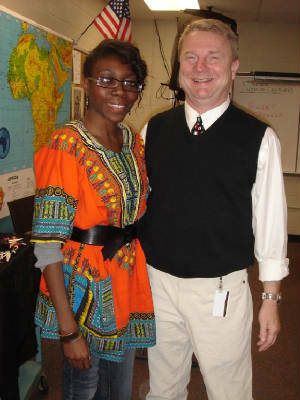 Ms. Wasonga and Mr. Fox enjoy catching up on old times at Highland. 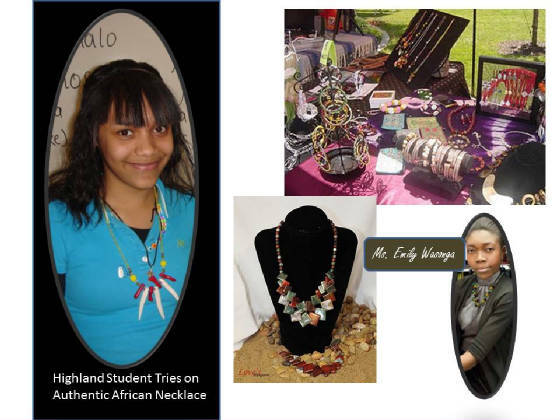 Ms. Wasonga discusses the origins and symbolism behind African jewelry with Highlander. 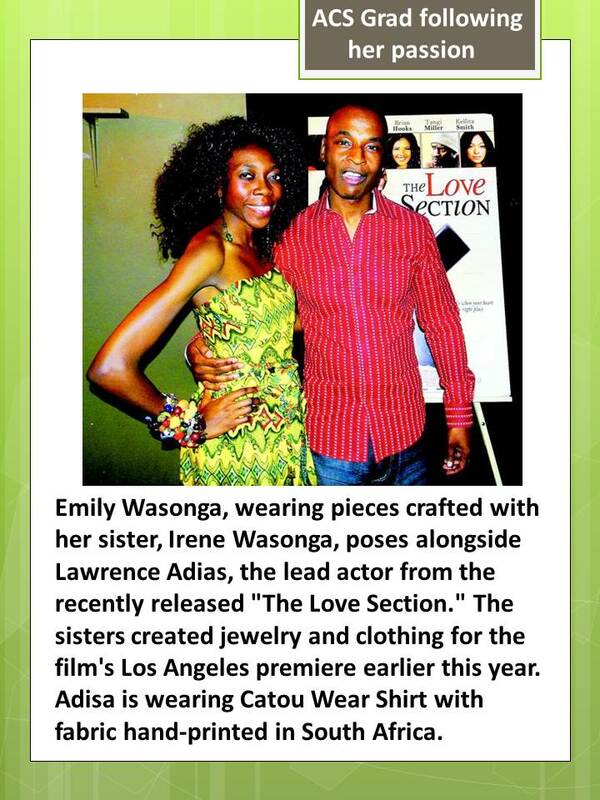 Ms. Wasonga's career in African jewelry while working to help people in Africa continues to move forward! 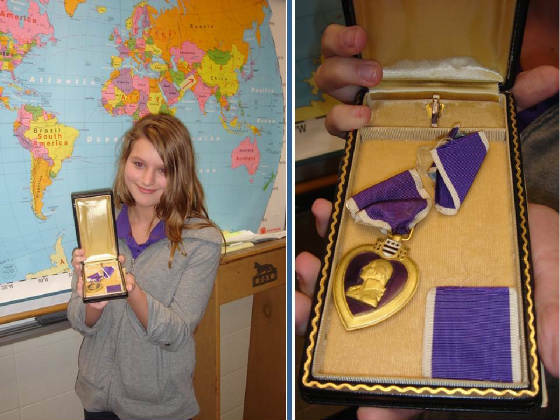 As we recognized Veteran's Day at Highland...a patriotic student proudly brought in a Purple Heart earned by her uncle. 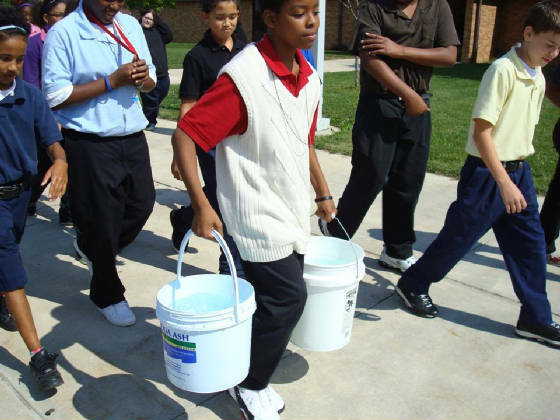 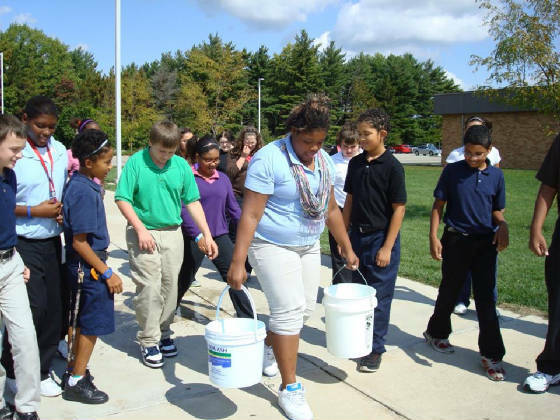 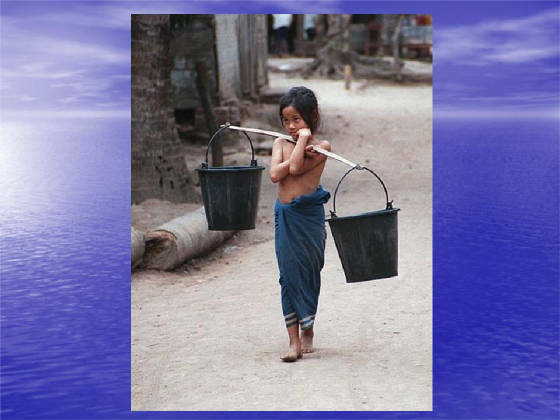 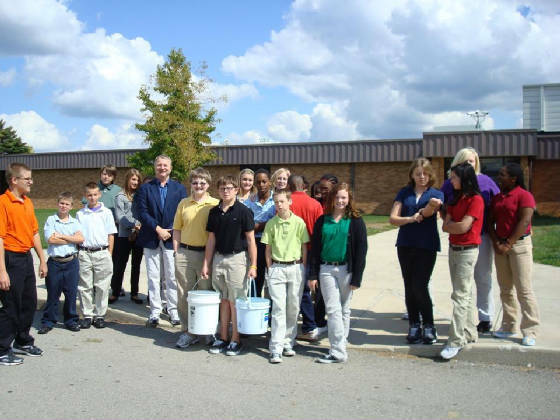 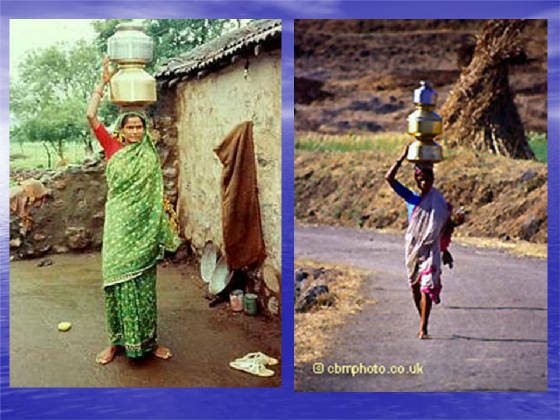 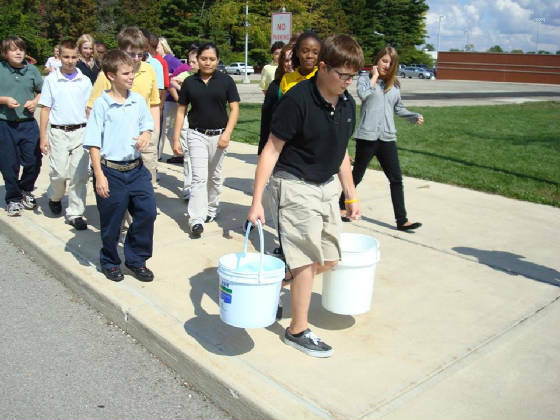 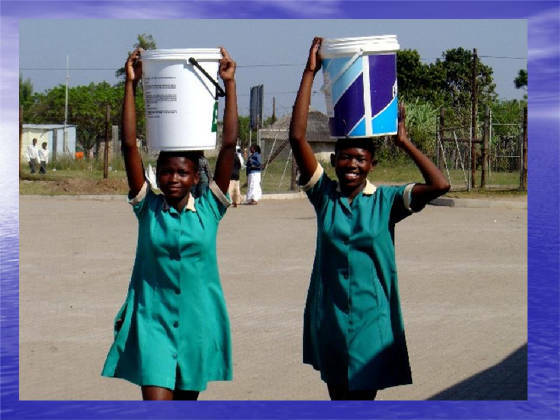 Highland Junior High School World Cultures students gain understanding and empathy for the 50% of the world that does not have access to clean water. 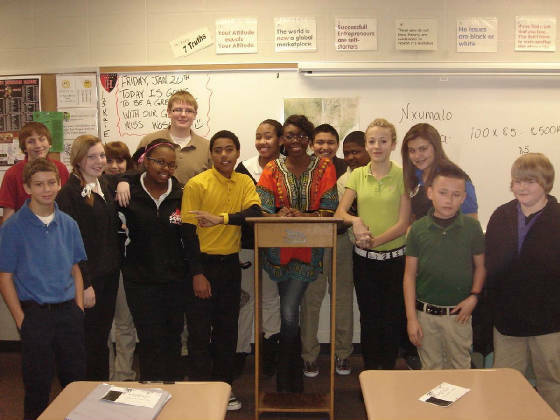 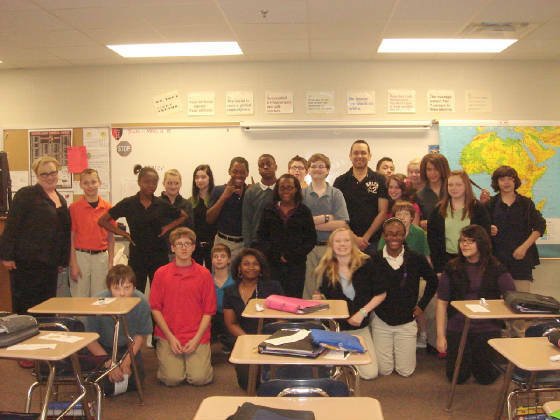 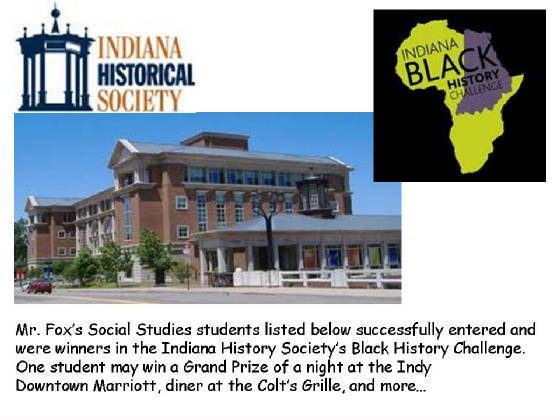 Here are the winners in Mr. Fox's classes for the Indiana Historical Society's Black History Challange. 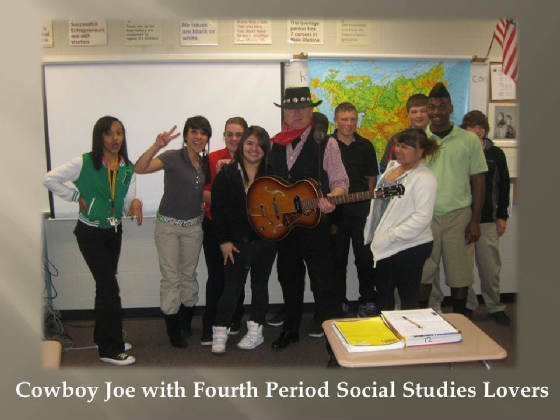 Each of these "Social Studies Lovers" won tickets for four to the Indiana Historical Society's Indiana Experience display, a coupon from Donatos Pizza, and a chance to win the Grand Prize. 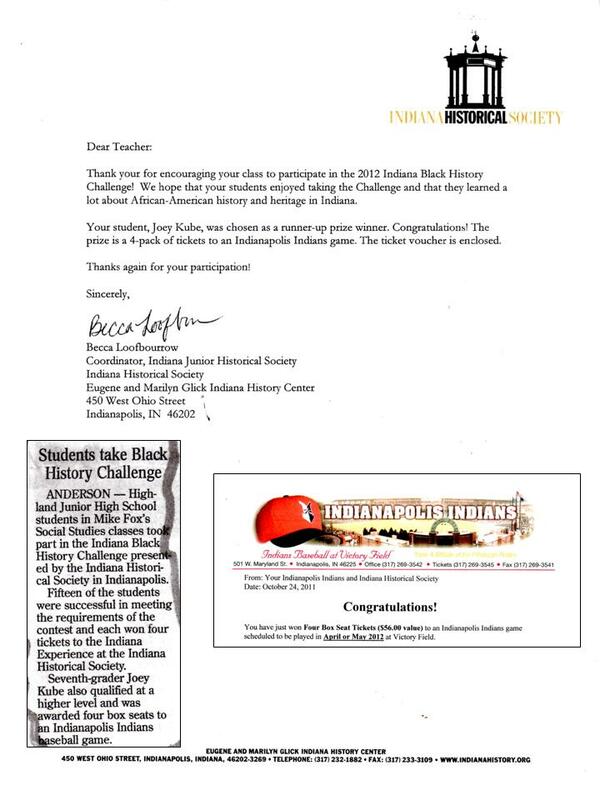 Joey Kube qualified in the Black History contest at a higher level, winning four box seats to Indianapolis Indiana baseball game.